The Florida Tarpons are looking for an Account Executive to assist the teams sales goals. The Account Executive will report to the assistant general manager and assist with the day-to-day objectives of the Management group. The Account Executive will also assist with day-to-day and game day operations. Candidate must be able to work at least 40 hours per week. Generate business revenue using sales methods including face-to-face meetings, cold calls, prospecting and networking through both event and social media. 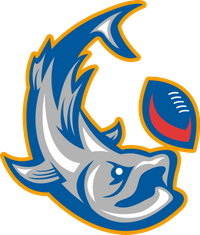 The Florida Tarpons are looking for a sales & marketing intern to assist the teams Sales and Marketing goals. The sales and marketing intern will report to the Assistant General Manager, VP of Operations, and assist with the day-to-day objectives of the Management group. Candidate must be able to work at least 20 hours per week. Work on social media marketing efforts, including strategies, communication, and growth of Facebook, Twitter, etc. Florida Tarpons are looking to hire volunteer game day operations interns. The position would allow candidates to gain experience in the sports entry in learning how a team operates on game day. Candidate must be available on game days, and will be asked to work to report to the arena (Germain Arena) at a set time prior to kick off, and work through the game.